No matter what technology is used, it takes considerable time and effort to develop an e-learning course, not to mention the high costs involved. Although legacy courses have been rendered technologically obsolete, their content might still be top-notch and very much relevant for current training needs. A legacy course has already been in circulation for quite some time, making it a tried and tested way of delivering the training topic. Hence, instead of junking old legacy courses, you should convert them so that they are on par with the recently developed courses. Converting a legacy course to the latest HTML5 can be a tricky process. Luckily, many authoring tools in the market help make this process seamless and hassle-free. But, with many choices, comes much confusion. In order to develop Flash-like interactivities, ensure the tool has the capability to develop attractive assessments, scenarios, and games. The authoring tool must also have built-in themes, layouts, animations, and more to give you the right features for creating visually appealing courses. These powerful features should be wrapped up in an interface that is easy to understand and use. This will ease up your conversion project and help you create more engaging and interactive courses, in less time. Most authoring tools in the market support responsive or HTML5 features. This can make your courses accessible from all devices. But, there are some tools which do not offer this feature. To ensure cross-device compatibility and a wider reach, choose a rapid authoring tool that supports HTML5. Browser compatibility is also of paramount importance. Learners use different browsers such as Firefox, Chrome, Internet Explorer, Safari, and more to launch an e-learning course. Browser compatibility means your course will look perfect and function with equal proficiency across all types of devices and software. Make sure the rapid authoring tool you choose can be integrated with your Learning Management System and can publish courses in all standards such as SCORM, AICC, and Tin Can. Most legacy courses will be in one particular language. Translating the entire course into various languages can be a challenging task. This is where rapid authoring tools come into play and ease your burden. Choose a tool that will help you translate your courses without much effort. Tools should seamlessly support all the problems that arise while translating. Be it layout flexibility or graphical changes, each feature will make your life easier. An authoring tool might look good in the short run. But, before finalizing a tool to convert your legacy course, you need to consider the long-term plan or the broader picture of your company’s e-learning strategy. Post conversion, legacy courses should be in complete sync with the new line of training being developed. This helps your training program be more unified and customized, increasing the overall effectiveness of the training strategy. Articulate Storyline: Fast and highly engaging course development. 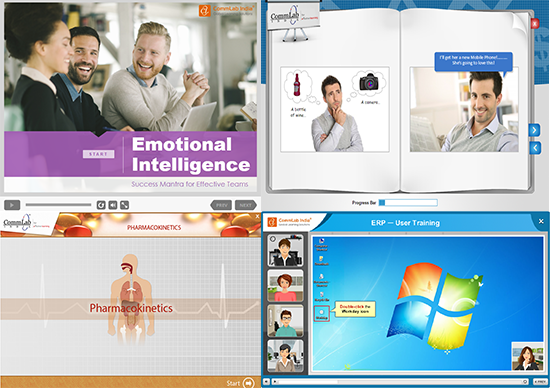 Adobe Captivate: Suitable for software simulations and responsive course development. Lectora Inspire 17: Use for heavy text and responsive feature. iSpring: Capable of converting PowerPoint to HTML5 with just a click. Adobe Presenter: Capable of quickly converting PowerPoint decks to e-learning. So, make the right choice and make the most of your old courses. As they say, old is gold.